A Day of Joy, 1972. Dziga Vertov: Enthusiasm: Symphony of the Donbass, 65 min, 1930. László Moholy-Nagy: Impressionen vom alten marseiller Hafen (vieux port), 10 min, 1929. 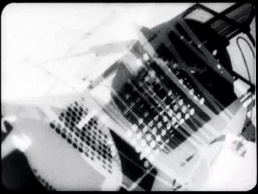 László Moholy-Nagy: Lichtspiel, Schwarz-Weiss-Grau, 6 min, 1930. Alexandr Hackenschmied: Aimless Walk, 8 min, 1930. Otakar Vávra: The Light Penetrates the Dark (Světlo proniká tmou), 35mm, 4 min, 1931. Alexandr Hackenschmied: Prague Castle, 11 min, 1932. Jan Kučera: Burlesque, 5 min, 1932. Otakar Vávra: We Live in Prague, 13 min, 1934. Otakar Vávra: November, 18 min, 1935. E.F. Burian, Čeněk Zahradníček: May, 9 min, 1936. Jiří Lehovec: The Thaumaturgic Eye, 10 min, 1939. Jiří Lehovec: Rhythm, 13 min, 1941. Alexandr Hackenschmied: Meshes of the Afternoon, 13 min, 1943. Alexandr Hackenschmied: The Private Life of a Cat, 22 min, 1945. Dušan Hanák: A Day of Joy, TV documentary, 22 min, 1972. Zbigniew Rybczyński: The Square (Kwadrat), 35mm, 3'30", PWSFTviT Łódź, 1972. Gábor Bódy: Four Bagatelles, 35mm, 28 min, 1975. Zbigniew Rybczyński: Media, 35mm, Se-Ma-For Łódź, 1980. Kvetoslav Hečko: Zo Suterénu, 23 min, 1989. Kvetoslav Hečko: Happsoc, 1996, 26 min. Grant Gee: Patience (After Sebald), 83 min, 2012. 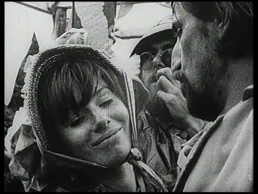 Katalin Ladik, Imre Póth, Attila Csernik, O-pus, 8 min, 1972. Gábor Bódy, De occulta philosophia (Philo-Clip), video, 1983, Dancing Eurynome (Mytho-Clip), video, 1985. Walzer (Lyric-Clip), video, 1985. Walter Benjamin: Mondrian '63-'96, Marxist Center, Ljubljana, 1986. Chris Marker, The Owl's Legacy, France/Greece, col., Beta sp, Television Mini-Series, 13 episodes x 26 min, 1989. Danube Connection, Electronic Communication Happening for fax, two telephone lines and a picture-phone, organised by Robert Adrian X and ARTPOOL, 5 min, 1993. Milan Knížák: Broken Music, 3 editions, 1979-1989. Andrzej Korzyński: Possession, soundtrack, CD, 1981. Anthology of Slovak Electroacoustic Music 1966-1991 and 1989-1994, 3-CD, 1992/94. DJ Lenar: Re:PRESS, reconstructed works by Eugeniusz Rudnik, 2012. This page has been accessed 112,607 times.